Kate and Rob talk about Kate's ideas, tips, and overall style of planning in what might become a multi part series. This time we focus on how she plans a travel event for and with the family. This week's art and science picks: one is a trusted office supply the other is about a crashed space craft. Kate and Rob talk about two creative play and learning kits: Nintendo Labo and Adafruit's AdaBox. This week's art and science picks: one helps clean up messes the other makes random shapes. Kate and Rob talk about some home automation projects we've tried with varying results. Kate and Rob talk about craft projects and experiments we tried while staying warm during the polar vortex influenced extra cold weather. This week's art and science picks: one is a space snowperson, the other is a craft project with many uses. In this episode of Art and Science Punks Kate and Rob talk about some craft/science projects we've tried and haven't shared on the show. Also: we look up how to say "just kidding" in Russian. Kate and Rob also share an art pick and a science pick this week: one is a way to visualize kind words the other is named after the Chinese myth of a Moon Goddess. What makes the year successful? How much prep is needed? Is prep needed? For someone who has never done it before, how do I start? What if we started a goal planning band? Kate and Rob also share an art pick and a science pick this week: one is a sort of camera in space the other is a fun use for folded paper. In this episode of Art and Science Punks Kate and Rob talk about connection, not only connection to friends and family (as is the season) but connection to projects, past passions, hobbies that you may have put down for a while. What are your favorite ways to connect with family and/or friends? How do you re-connect with those you haven't seen in a while? Kate and Rob also share an art pick and a science pick this week: one is a sort of space drill the other is something shiny. In this episode of Art and Science Punks Kate and Rob talk about making gifts by hand, why we got into that, some of the projects that went well and others that didn't. 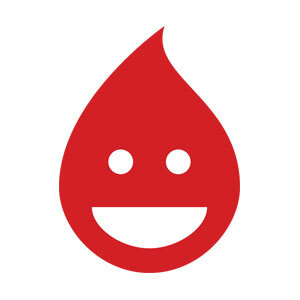 Some projects we pick are a bit ambitious given our current skills or time available. How do we find the right project and how do we help our kids with that same process? Kate and Rob also share an art pick and a science pick this week: one is a test you don't study for the other is a book of tips. In this episode of Art and Science Punks Kate and Rob talk about their favorite Halloween things choosing a movie, story, costume (that you have worn, that you have seen), song, haunted house gimmik, decoration, and more. Kate and Rob also share an art pick and a science pick this week: one is a retired research satellite the other is about snacks. In this episode of Art and Science Punks Kate and Rob talk about a fun list of science myths, some they thought might be true and why. It's a continuation of the Baloney conversation from episode 23! Kate and Rob also share an art pick and a science pick this week: one is checking in on the NASA Juno mission; the other is about printing big posters. In this episode of Art and Science Punks Kate and Rob talk about what we forshadowed in recent episodes: Kate's adventures with the InstaPot, some things she's made with it, how it's fairly old technology in a new package. Kate and Rob also share an art pick and a science pick this week: one is a craft with code and data; the other is a craft with yarn and twigs. In this episode of Art and Science Punks Kate and Rob talk about what encouragement looks like to us, parts of encouragement, how it might be just the right thing to share with someone or feel like unwelcome pressure. Kate and Rob also share an art pick and a science pick this week: one is racing marbles; the other about growing crystals in a way they've not encountered before. 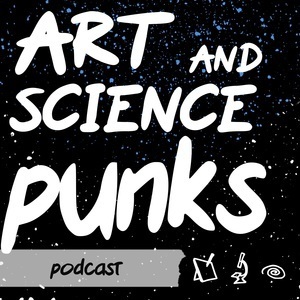 In this episode of Art and Science Punks Kate and Rob discuss ways we prepare to learn new things, growth mindset, kids going back to school and how Kate thinks the sun's corona is inherently funny. Kate and Rob also share an art pick and a science pick this week: one is about slime; the other about the sun's corona. In this episode of Art and Science Punks Kate and Rob discuss a couple of recent experiments: coloring geodes and fermenting cabbage. Discover along with us which experiment looked and/or smelled according to plan. Kate and Rob also share an art pick and a science pick this week: one is about brush pens; the other is a crafty form of ice cream. In this episode of Art and Science Punks Kate and Rob discuss projects we've been up to since our previous podcast episode and talk about how we celebrated Summer Solstice. Kate and Rob also share an art pick and a science pick this week: one is about the center of our galaxy; the other is a fun glue activity.